These cookies are dangerous. The pumpkin cookie is delicious on its own. I could eat them plain just one after another. 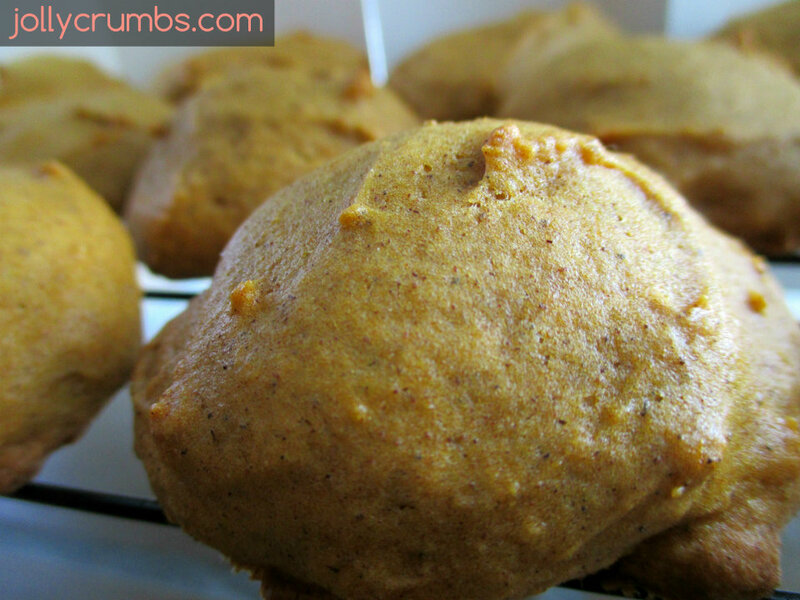 They have a spiced, pumpkin flavor, and they are fluffy and soft. But then comes the glaze. The sweet cinnamon glaze on these cookies is over the top. It transforms the cookies from delicious into out of this world delicious. A bonus is these cookies are easy to make. The batter comes together very easy, and the glaze is simple and can be whisked together in a couple minutes. If you want a cookie that makes you say, “WOW,” you found it. 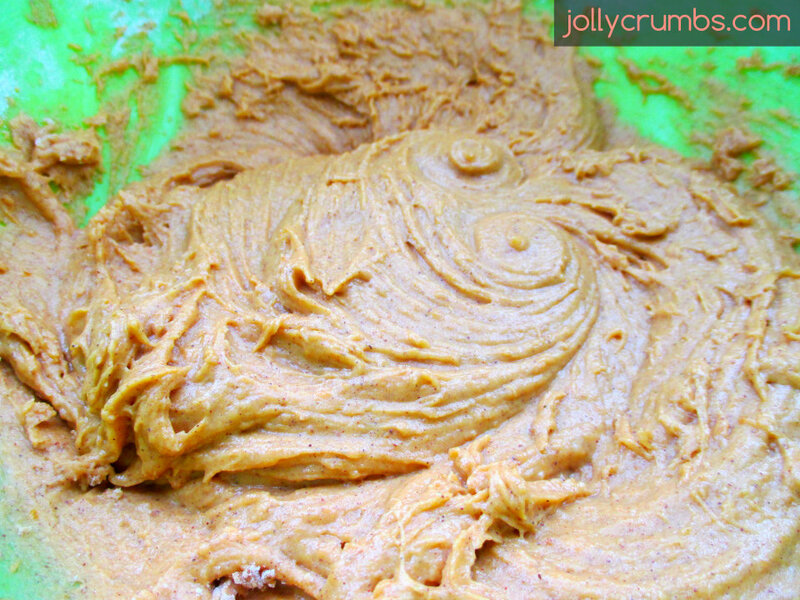 For the batter, start by stirring the flour, baking powder, baking soda, cinnamon, pumpkin pie spice, and salt together. In a separate bowl, cream together margarine, sugar, and Splenda granulated. It should be smooth and fluffy. Mix in the pumpkin, liquid egg whites, and vanilla. I used my hand mixer to blend until creamy. Don’t be worried if it looks a little lumpy or like the butter isn’t mixing in. The Splenda sometimes doesn’t cream well with butter 100% like sugar does. Once you add the dry ingredients it all comes together. This brings me to the next step, slowly add in the dry ingredients to the butter mixture. I add in a little at a time and then mix until it is incorporated. I continue to mix until all the dry ingredients are well combined into the wet. Drop the cookie batter on to an ungreased cookie sheet by rounded tablespoons. The batter will be sticky, so I just lumped some of the cookie batter onto a spoon and then used my finger to glob it onto the cookie sheet. Once the batter is on the pan, flatten it out a little. These cookies do puff up, so you will need to flatten them out before baking. Bake the cookies for 15 to 20 minutes. They should feel soft but still firm. Transfer the cookies to a cooling rack. Once they cool completely, you can make the glaze. To make the glaze, simply whisk together the confectioner’s sugar, milk, melted margarine, cinnamon, and vanilla. Just make sure to whisk out any lumps that you see. This glaze sets up very nicely, so you don’t want it too thick. Feel free to add more milk or more confectioner’s sugar to get a consistency you are happy with. You want it to be slightly thin so it will spread over the cookies. I spooned and drizzled my glaze on the cookies. These cookies are best when the glaze has firmed up. I won’t tell anyone if you eat one (or six) before the glaze sets up. I am so dang happy with how these cookies came out. These are like little pumpkin pillows with sweet glaze on top. I can’t believe how moist and soft these cookies are. I also love that these sweet treats are low in calories. Without the glaze, the cookies are delicious on their own. They are also lower calorie without the glaze. I happen to love the cookies with and without glaze, so I left a few plain. Even Samuel really liked these cookies with the glaze, and he is a tough judge on sweets. 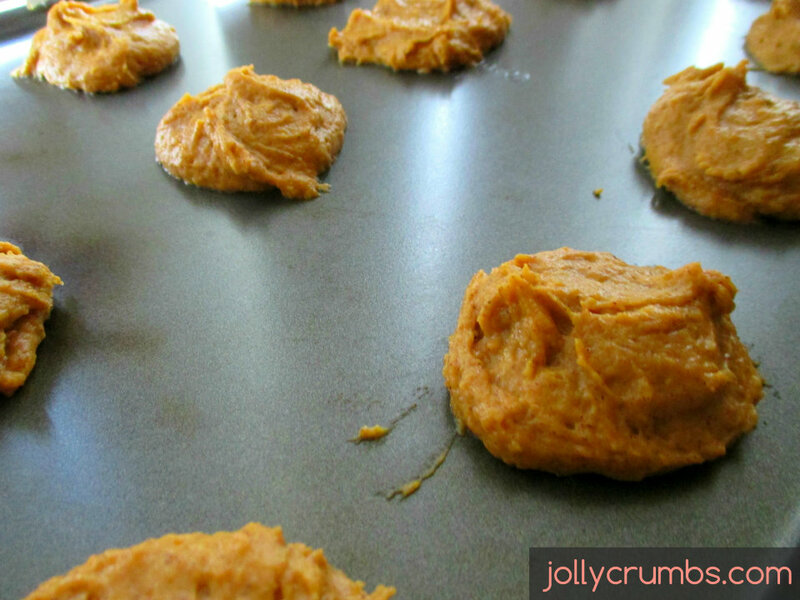 These glazed pumpkin cookies will be making an appearance in my kitchen again, and again, and again. Stir together flour, baking powder, baking soda, cinnamon, pumpkin pie spice, and salt. In a bowl, cream together margarine, sugar, and Splenda until it’s smooth and fluffy. Add in the pumpkin, liquid egg whites, and vanilla to the creamed butter. Mix until creamy. Slowly add in the dry ingredients to the wet while mixing. Once the batter is well combined, drop batter on an ungreased cookie sheet in rounded tablespoons. Flatten the batter out slightly, as these will puff up. Bake for 15 to 20 minutes until the cookies feel soft but firm. Cool cookies on a cooling rack. Once they are cool, make the glaze and drizzle it on the cookies. Whisk together ingredients until smooth and there are no clumps of powdered sugar. Drizzle or spoon glaze over the cookies. Let the glaze set before enjoying cookies. Splenda sometimes doesn’t cream completely with butter. If you notice the batter is not smooth after you add in pumpkin, liquid egg whites, and vanilla, do not worry. Once you add the dry ingredients the batter will come together. It’s OK if it looks a little lumpy. Feel free to leave the cinnamon out of this glaze. It was very delicious either way, but I just prefer some spice in this glaze with these cookies.